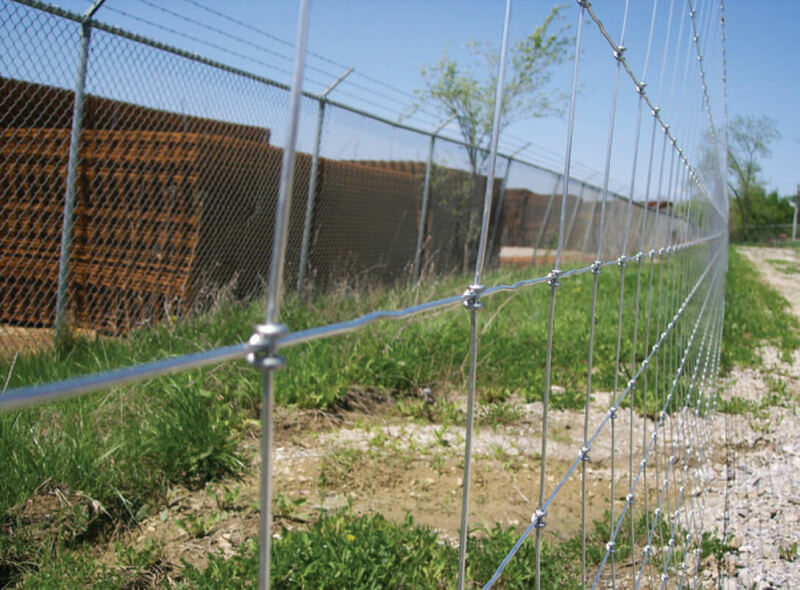 OK Brand Max-Tight Field Fence is manufactured using the Max-Tight Knot. Just like our OK Brand Hinge-Lock, it is manufactured in a wide selection of heights and styles, featuring a graduated spacing that starts with small openings at the bottom which help prevent entry from small animals. 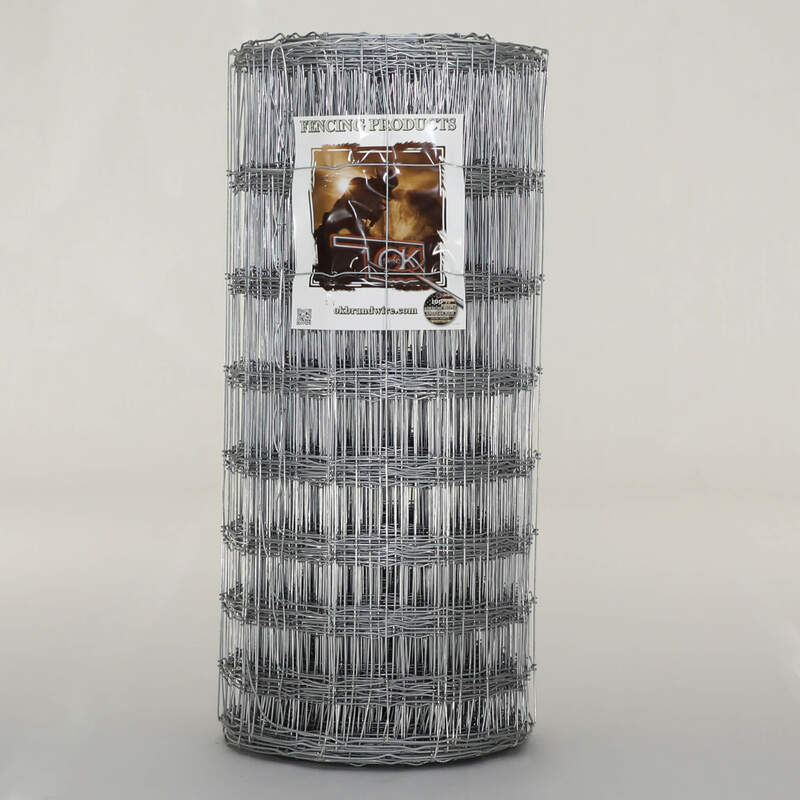 The Max-Tight Knot provides extra vertical strength to withstand impact from large animals, while being flexible enough for installation over hilly terrain. Our field fence is designed using a variety of spacing configurations to accommodate horses, cattle, hogs, and other large animals. As with all OK Brand Max-Tight products, our field fence has the added benefit of our unique “Versi-Tail” feature. This feature allows for easier installation by adding a 12” tail at the beginning of each roll and a 6” tail at each end. 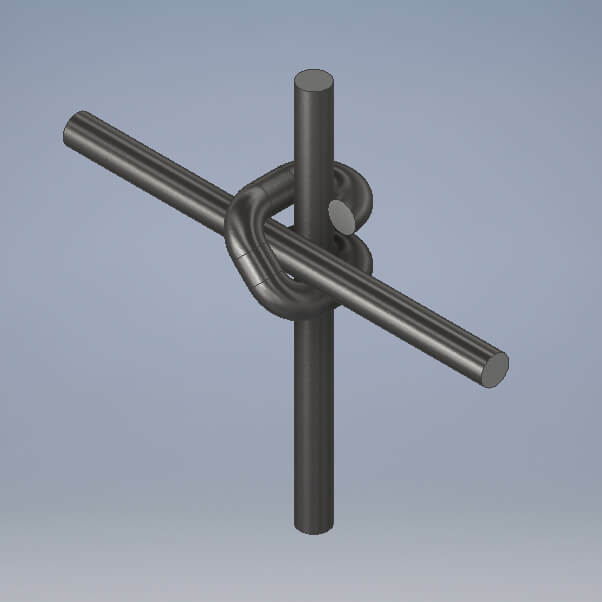 This feature eliminates the need to remove cross-wire staples to allow enough wire for tying corners or splicing rolls. OK Brand Premium Max-Tight Field Fence is available in Class I or Class III Zinc Coating.